The neo-Nazi and neo-Confederate groups who took to Charlottesville to rally were not conservatives, nor Republicans, nor right-wing; and their fight with Antifa was a battle of leftists against leftists, according to Jeffrey Lord of The American Spectator. The media has tried hard to portray the hate groups that rallied in Charlottesville as “the Right,” but in truth, they are far from it. A brief study of history reveals the Democratic Party’s historical ties to pro-slavery Confederates and the KKK. 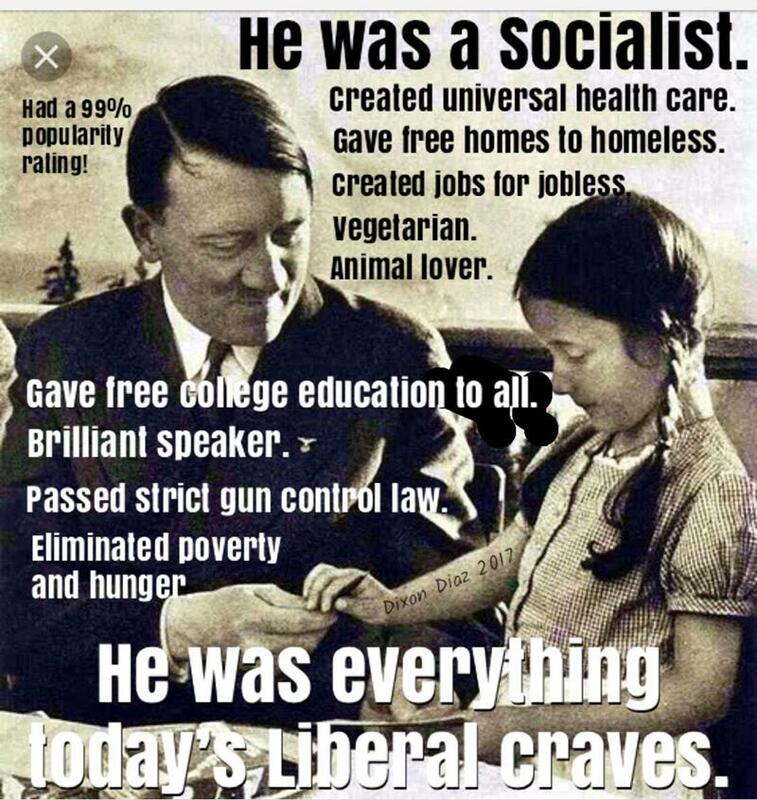 Nazis were, after all, national socialists, not conservatives. Twenty-five years later von Mises updated the book with an epilogue, which took on Nazis, Fascists and Communists in the aftermath of World War II. Dictatorship and violent oppression of all dissenters are today exclusively socialist institutions. For more than seventy years the German professors of political science, history, law, geography and philosophy eagerly imbued their disciples with a hysterical hatred of capitalism, and preached the war of “liberation” against the capitalistic West. The German “socialists of the chair,” much admired in all foreign countries, were the pacemakers of the two World Wars. At the turn of the century the immense majority of Germans were already radical supporters of socialism and aggressive nationalism. They were then already firmly committed to the principles of Naziism. What was lacking and was added later was only a new term to signify their doctrine. When the Soviet policies of mass extermination of all dissenters and of ruthless violence removed the inhibitions against wholesale murder, which still troubled some of the Germans, nothing could any longer stop the advance of Naziism. The Nazis were quick to adopt the Soviet methods. They imported from Russia: the one-party system and the pre-eminence of this party in political life; the paramount position assigned to the secret police; the concentration camps, the administrative execution or imprisonment of all opponents; the extermination of the families of suspects and of exiles; the methods of propaganda; the organization of affiliated parties abroad and their employment for fighting their domestic governments and espionage and sabotage; the use of the diplomatic and consular service for fomenting revolution; and many other things besides. There were nowhere more docile disciples of Lenin, Trotsky and Stalin than the Nazis were. The Nazis’ application of socialist doctrine was at the core of their takeover, war, and Holocaust, which used nationalism and racism to rally support. Kessler and Heimbach are not conservatives. Heimbach is a nationalistic, capitalism-hating socialist. The only thing that really separates him from his Antifa rivals is his white supremacism. 152 years after the end of the Civil War, Kessler is still a traitor to the Union who continues to side with the nineteenth century’s Democratic, pro-slavery South. Message to the mainstream media? No, Nazis, Neo-Nazis and fascists are not “the Right.” They are not about principles of freedom, liberty, limited government, and the civic society. They are about race, the glorification of The State, and hating capitalism. Which is to say, Nazis, Neo-Nazis, fascists and yes, the Ku Klux Klan — the latter identified by Columbia University historian Eric Foner, as “a military force serving the interests of the Democratic Party” and by University of North Carolina historian Allen Trelease’s description of the Klan as the “terrorist arm of the Democratic Party” — are, yes, the Left. Has Jeffrey Lord finally put the myth of the autocratic, supremacist “Right” to bed? Let us know what you think, and sound off in the comments section below.